Coach Bridget Le Good. Manager Suzie Finch. 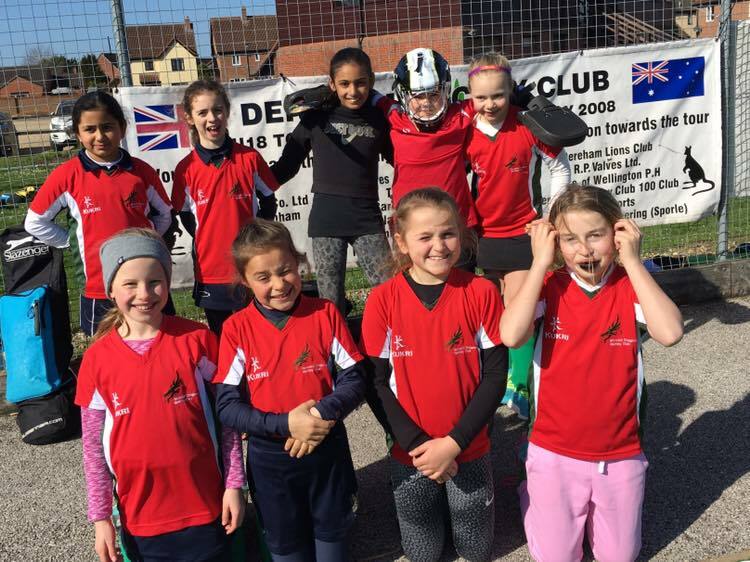 On a beautiful day for hockey, Dragons Danson completed their sixth tournament of the season with their third win, Their proud record is 3 Golds, 2 Silvers and 1 Bronze and they were also winners of the County Championship. The team has settled into Elspeth Vinter (GK), Ella Creasey and Charlotte Douglas (defenders) Perdie Finch central mid, Tabby Hill and Phoebe Fay mid/forwards, Sophia Betts and Poppy Francis forwards. Several of the girls in Danson worked their way up into the squad as they developed their skills. In this tournament the defence were very cool and calm – only conceding 1 goal. Perdie ran the midfield and organised the attacks well. Poppy was on fire with her excellent runs and goals, and a special mention to Phoebe who started some games, came on in others, and played in defence, in midfield and up front! Danson opened with a 2-0 win over Pelicans, who had worked hard and improved since we last met. Goals were hard to come by until Poppy settled our nerves with a beautiful run and scored. This was followed by a typically tenacious shot from Tabby just before the klaxon. The girls gave themselves a talking to and concluded they had only just done enough – and the next team was going to cop it. This was Magpies Black, who for some reason appeared in red bibs so we lost a minute while they took their bibs off. After this disruptive start Danson were electric and ran out 6-0 winners. 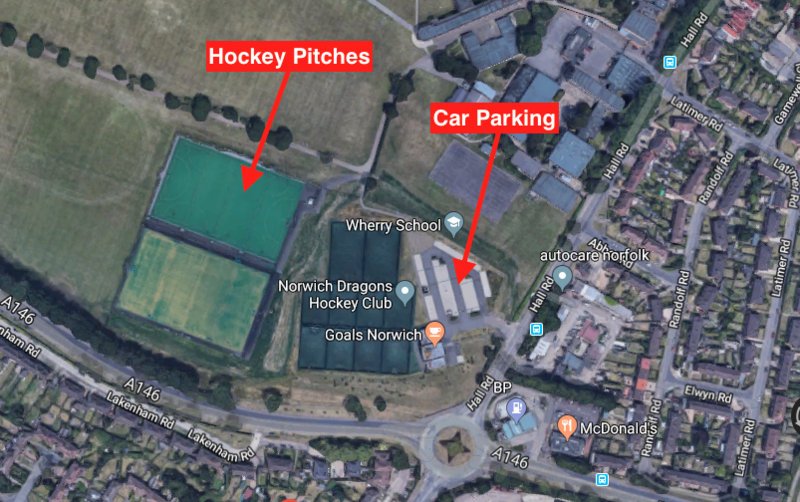 They were inspired by Poppy’s runs – Poppy, Sophia and Tabby scored two goals each and Magpies seldom got beyond the halfway point. Next up were our best friends the Twiggs and they played very well. Ella, Charlotte and Perdie were all called on to do some good tackling and it was a hard fought 2-0 win with goals from Poppy and Tabby. We had the sense that Danson had burned out just a little bit, and this proved to be so with a 0-0 against Magpies Whites. We had lots of shots but could not force the ball home, and it is worth noting that Twigg only went down to a single goal to this team. We did not punish Norwich Greens as much as we should have, but Sophia came back to her best form and scored a super goal from wide right. Poppy settled it just before the end. Greens were confined to the occasional raids. Last up was the very strong Norwich City Yellows, and to our delight our positive start saw us burst through from the push back and Poppy scored in less than a minute. Danson kept forcing their way into the circle and had several clear cut chances but Tabby and Sophia were just off target. Perdie kept Danson in the game with an absolutely stunning flat tackle when it looked as though they would score. Then, just before the end an awful defensive mix up let City in to score off Elspeth’s feet. This was very disappointing for Elspeth who had kept five clean sheets. Our lesson from this tournament was that however well you are playing, tiny little mistakes can cost you dearly. Not being sure who had got goalless draws (1pt) and score draws (2pts), Coach Bridget thought were had just been edged out, so there was great delight when Danson were announced the winners. It is to be hoped that Bridget is a little better at hockey than she is at sums. Dragons Twigg – 5th out of 7. Played 6, won 1, drew 2, lost 3. Goals for – 3, goals against 6. Coach David Pentin. Manager Suzie Finch. As we had push-back in the majority of our short 8 minute matches we decided to be positive and move forward and attack from the start. Match 1 v Magpies Black 3-0 win. 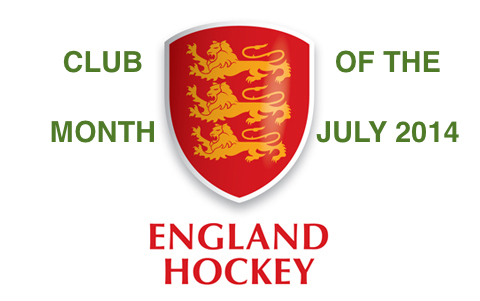 Scorers: Ava, Sophia and Freya. Our positivity paid off. Fortunately the defence and goal keeper had nothing to do. Which was a relief to coach David as he tried to do running repairs on Anna’s kicker on the pitch as a strap had failed just before the match. Match 2 v City Green.0-0. Lots of attacking play and good work by Imogen and Romilly down the wings. The team were unfortunate not to win with a shot hitting the post and nobody quick enough to get to the rebound. Match 3 v Dragons Danson. Lost 2-0.The team worked hard to give team Danson a tough game and Millie worked hard in defence and Anna made some good saves with her feet and kicked the ball away. Match 4 v City Yellow. Lost 4-0. A match where due to City’s forwards getting beyond our defence they had time and space to score but the team worked hard and gave their all. Match 5 v Magpies White Lost 1-0. A narrow defeat with the team matching their opponents well and Olivia doing well in defence. Match 6 v Pelicans 0-0.The team had the majority of the match but couldn’t get one of their shots beyond the keeper to get the goal they deserved. The team finished 5th out of 7 doing very well in the Gold tournament showing the improvements they are constantly making. Well done to Dragons Bray for finishing 2nd in the silver tournament at Dereham today! 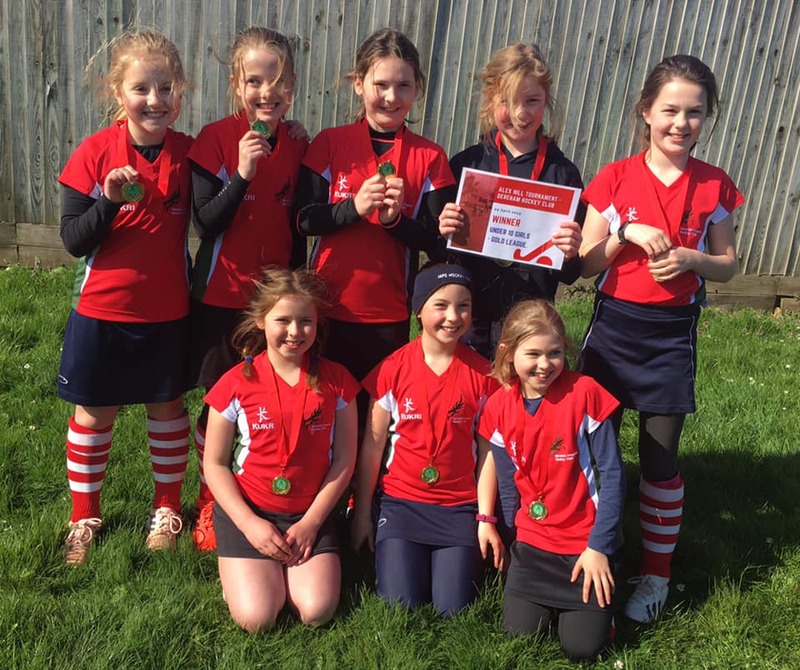 All girls played really well…..what a great end to the season! Match 1 v Norwich Orange: This match was a tentative start as the girls tried to find their feet and finished 0-0. We had a few shots on goal which were saved by a strong opposition keeper. 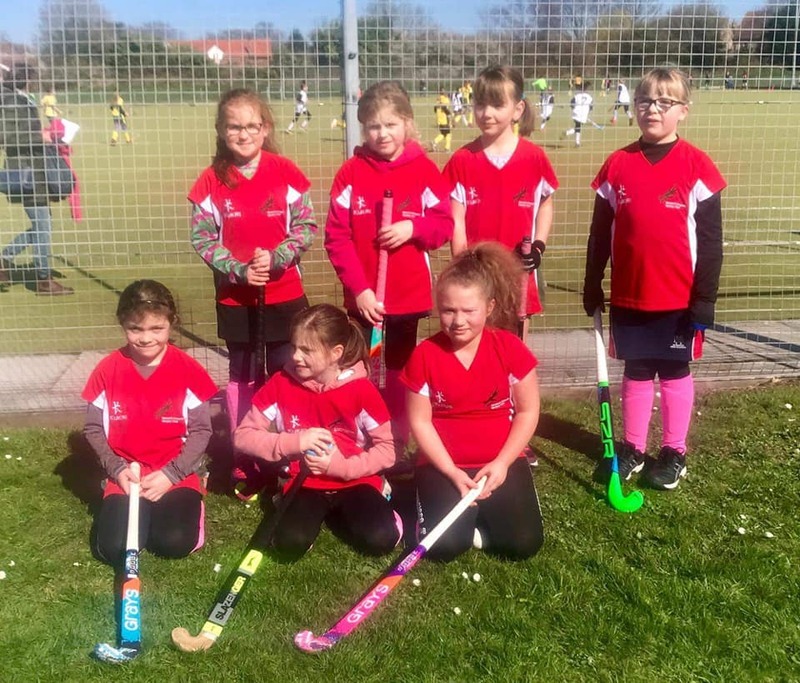 Match 2 v North Norfolk: The girls really battled hard in this match, but were up against some very strong opposition who managed to get 3 good and hard strikes on goal which all resulted in goals. Lost 3-0 but put up a very good fight. Match 3 v Dereham: By now the girls had found their groove and were passing the ball well, with lots of great attacks on goal but sadly just missed out on getting the ball over the line so resulted in a 0-0 draw. We had two substitutes for this match and the girls showed maturity in knowing that this meant everyone had to have some time off. We were also heavy on attacking players so big thank you to Neve, Priya, Fern and Rhianna who all played some really solid and confident defence work. Well done to Anastasia and Rhianna who although didn’t get their names on the score board certainly made some lovely runs down the wings and put a lot of pressure on and passed some well-timed balls that resulted in goals. Bella, Sophia, Ella and Fern all did a sterling job rotating around the central positions and wings where necessary. Some lovely hockey played by them all. Lastly a special mention to Minnie playing in goal who kept a clean sheet for all matches bar one (where the shots on goal were Gold Tournament standard) and played as much of an important part of the silver medals as all the girls on the pitch. She also hardly had a break as she played a few matches for Hinch in-between our matches. Overall I thought they all were a lovely team of girls to manage, they all played their best and really enjoyed it. As did I. This entry was posted in Latest News on March 24, 2019 by admin.